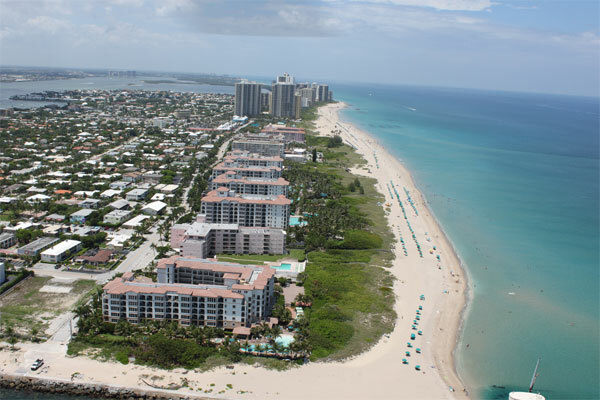 Located at the nexus of the ocean and the Palm Beach Inlet overlooking Palm Beach Island 3 Building with 3 Floors –2 Units per FL -­‐ 6 Units in each building – 3 Remaining for Sale. Casual and contemporary beach house life style. Scale that provides a feeling of connection with the water and nature. Remaining prices under $1M. Gated and fenced for privacy. Prewired for smart home capabilities. Concrete structure and impact windows. One parking space per unit and nine parking spaces for guests. Sport equipment storage, Pool and exercise room.Every unit is a corner unit. Private roof top terrace on penthouses. Two bedrooms with private bathrooms and One den with a half bathroom. Nine foot high ceilings and windows and finished floors. European style kitchen cabinets and bathroom vanities. Stainless steel appliances and Stackable washer and dryer.